I am literally so excited as I’m writing this it’s unreal! Anyway, tomorrow I’m off to Italy (Sorrento) on a Classical Civilisation Trip, and we are going to visit Pompeii, the Bay of Naples, and many other places! 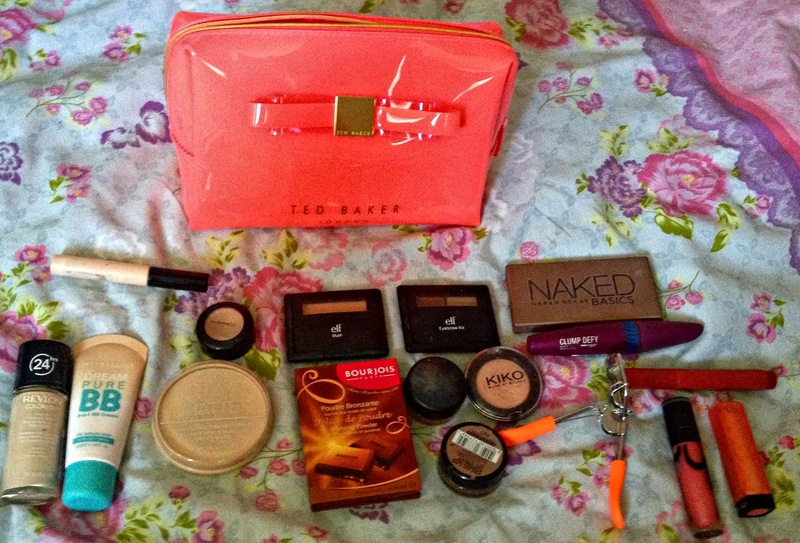 Anyway, I thought I would share with you what I’m bringing in my makeup bag! Also while I’m away I have scheduled a post for Monday so look out for that! I got my makeup bag as a birthday present, and I am in love with it! 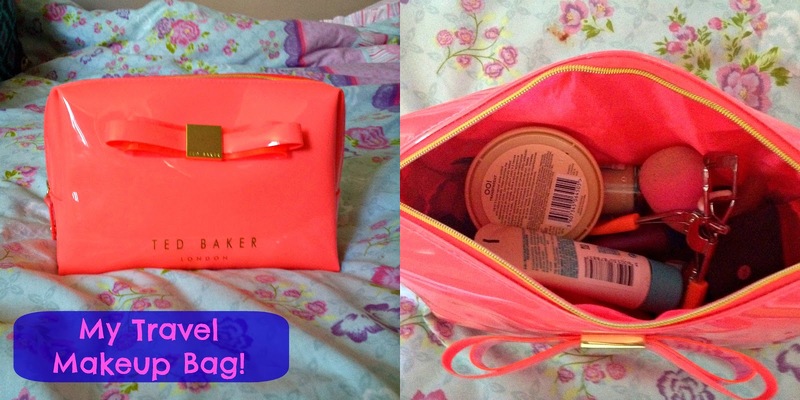 Its from Ted Baker, and it is in a gorgeous bright coral colour. I love this because it is really high quality and you can fit lots in it. Also the insides can be wiped down if you spill makeup so that’s always a plus. Sooo what am I taking? So from left to right…. So that’s what I will be slathering on my face whilst I am away! I am also taking makeup brushes, but only the basics, foundation, powder and eyeshadow. I will have a post with all my Italy pictures when I get back but yeah!